John's Roofing & Home Improvements has been providing reliable and quality gutter installations in Virginia Beach, VA since 1997. When it comes to installing gutters in Virginia Beach, our skilled roofers do the job right, maintaining our commitment to quality and high standards. We at John's Roofing & Home Improvements have the expertise and dependability that you are looking for in Virginia Beach. We offer the most professional and affordable residential and commercial gutter installation in Virginia Beach, VA.
John's Roofing & Home Improvements can successfully install gutters in Virginia Beach using any roof gutter products in the market today. We are your top choice to install your seamless gutters or if you chose, sectional gutters. Our tradesmen will install aluminum gutters, copper gutters, vinyl gutters or steel gutters for your roof in Virginia Beach. John's Roofing & Home Improvements offers a wide selection of metal gutters or vinyl gutters for our customers in Virginia Beach to select from. 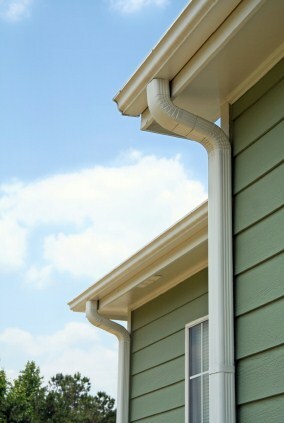 We also expertly install gutters and downspouts in Virginia Beach. John's Roofing & Home Improvements only offers the finest quality gutter products so that you’re ensured high performing gutter system for your roof. Let our experienced roofers in Virginia Beach handle your roof gutters and do the job right! Do you need gutter repair in Virginia Beach? Don’t hesitate to call us! John's Roofing & Home Improvements knows how to repair gutters on any building, office or home. John's Roofing & Home Improvements also offers gutter cleaning in Virginia Beach. We clean gutters so that you don’t have to do the dirty work! Remember, we are your go-to roofing company in Virginia Beach for any gutter job! Since 1997, John's Roofing & Home Improvements has been cleaning and installing gutters in Virginia Beach, building a reputation of being dependable and affordable. You can trust that John's Roofing & Home Improvements’s roofers in Virginia Beach are as courteous as they are knowledgeable. Contact John's Roofing & Home Improvements about your gutter work in Virginia Beach, Virginia. Our Virginia Beach crew will be happy to provide you with a competitive gutter quote and stand by the outstanding roofing service that we deliver.